One of the seven lessons to inspire great writing in the book, ‘The Virginia Woolf Writers’ Workshop’ is titled Walking. 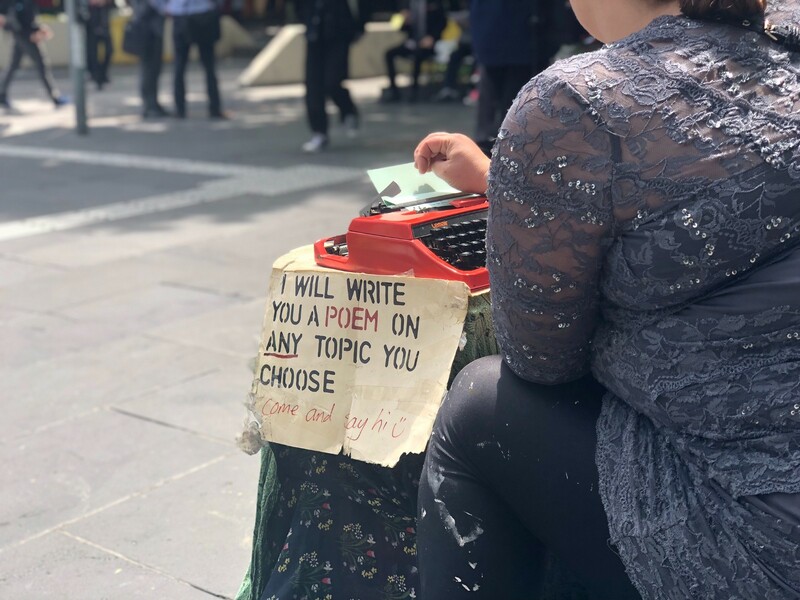 The author says that when you go on a walk, the sounds, smells, colors and people who pass by you could inspire you to write a story or a poem. I used that as a writing spark for my third assignment and composed a free verse poem. I have not followed any rules of poetry except for attempting to make the end of every verse rhyme with the previous line. The last time I wrote poetry, I was seventeen! Given that I am attempting poetry after thirty three years, expect it to be nonconforming to standard poetry writing. All in fun! On Walnut and 3rd, the shuttle shows up said the information. Heavy breakfasts were a thing of the past, they made my stomach squeal. To step out without a jacket or ear muffs, you have to be really bold. That I came from Chennai to here, no one had a clue. Is a transport used by the homeless, I do too though. To The Y, to practice Yoga ‘cause I don’t drive a car. But also the many blessings with which she always ends. Twenty group classes by April end, I will finish for cert. It helps me reach the step count that everyday I track. And to pick some stuff for the house, often based on hunch. Either that or fresh salad, the option was always there. The pizzas looked tempting, but I had the LCHF Goddess to please. A teensy bit of sugary treat keeps me satisfied and fed. ‘Of course I did, thank you for asking’ I say pleasantly with poise. Picking up low carb ingredients is always the key. By the time I take them out to cook, they are a soggy mess! A gentleman fumbles with his card, ahead of me a few places. ‘It’s to fund diabetic research’, he adds without missing a beat. The clerk was just doing his job, marketing to earn. All of this came from my heart, simple and pure. In my book of evaluation, you are a rock star!